This paper looks at the implications of the 2015 Paris Agreement for renewables, energy efficiency and natural gas and draws conclusions on the limitations of renewables for meeting national and international climate targets, illustrated by the past and present German renewable-focused approach. It discusses the need to complement an all-electric renewable approach with the important contribution decarbonized natural gas can make to meet the decarbonisation targets of the Paris Agreement within the time frame given by it. Finally, it illustrates the overlap of EU decarbonisation and German renewable policy and how this hinders short term fuel switching to natural gas and possible remedies. Throughout the paper “gas”, unless otherwise specified, should be taken to mean “natural gas”. numérique et l’écologie. Symbole d’une vision « high-tech » de l’écologie, ces nouvelles formes de mobilités tendent à se constituer comme un nouveau paradigme de l’automobile. Celui-ci serait appelé à structurer de nouveaux écosystèmes d’affaires qui permettraient d’amorcer une transition vers « le futur ». Aujourd’hui, on attribue bien volontiers à l’industrie automobile, à ses usines et à ses acteurs, les caractéristiques d’une économie vieillissante et conservatrice, incapable de se recomposer et d’adhérer à ce « nouveau paradigme ». Dans la vision positiviste dominante, l’industrie automobile est d’emblée condamnée. Elle représente une vision passéiste de l’économie et de la société, avec laquelle il est politiquement de plus en plus difficile de s’imposer. L’idée que nous défendons dans ce rapport est que l’on peut entrevoir la dynamique des nouvelles mobilités et des nouveaux services automobiles à travers un prisme « industrialiste » et écologique, c'est-à-dire, comme un moyen de répondre aux impératifs sociaux et environnementaux auxquels est confrontée la société française ainsi que son industrie. En effet, nous pensons que, plutôt que d’opposer un « ancien » et un « nouveau monde » des mobilités automobiles, il est aujourd’hui indispensable d’identifier et de développer des « ponts » entre l’industrie automobile et les nouveaux services de mobilité aujourd’hui en pleine expansion. Ce rapport propose d’évaluer les potentialités d’une telle hypothèse et d’identifier des voies de transition vers une massification des nouveaux usages automobiles. Usage rather than ownership of vehicles is driving the expansion of car sharing and carpooling, among other new uses. Driven by the digital revolution, these new services are expected to radically transform how we get around, and will change the relationship between the various stakeholders – both newcomers and long-standing players – that contribute to its implementation. This forward-looking analysis uses a variety of scenarios to examine the economic and environmental gains if such services expand and gain traction across the country. Such a shift would mean an optimised fleet of automobiles that are used more intensively and renewed more often. The study's recommendations call for expanded synergies between stakeholders, with possible public-sector support. The methodology used, the results obtained and the recommendations are the sole responsibility of the authors of the study, and do not represent the views of the Pipame, the DGE or the other sponsors. Die Studien zur Arbeitslandschaft untersuchen in regelmäßigen Abständen, wie sich Angebot und Nachfrage am Arbeitsmarkt entwickeln und welche Ungleichgewichte sich einstellen. Im aktualisierten Gutachten sind vor allem die Beurteilung der Auswirkungen des technologischen Fortschritts und der Digitalisierung auf die zukünftigen Arbeitsinhalte auf den aktuellen Stand der Forschung gebracht worden. 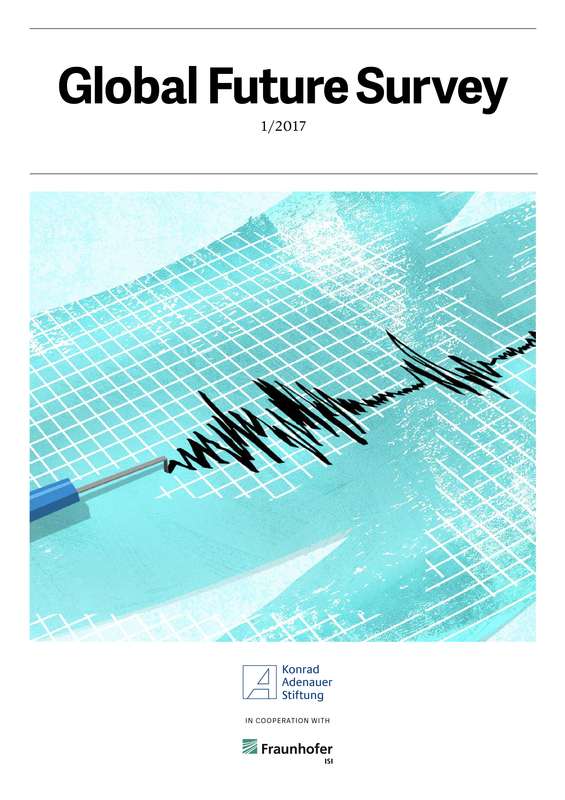 Zudem wurde eine angepasste wirtschaftliche Rahmenprognose der Analyse zugrunde gelegt. The world is becoming increasingly multipolar. States that were long thought of as developing or newly industrialized countries are now an influential force in shaping international policy in an interdependent world. They are economic motors and key regional players, active beyond their own regional boundaries. They also play an increasingly important role in international decision-making processes. They are confidently taking their place on the world stage, in international relations, and are assuming ever more responsibility for global issues. In our view they are more than just emerging economies. They are new players with a voice in the conduct of world affairs. In recent years, Germany's economy has outpaced nearly all other countries in Europe. The economy is entering its fifth year of growth in succession, employment is at a record level, state and social insurance revenues have increased, thereby significantly reducing strain on the national budget, and new borrowing by the Federal Government has been reduced to almost zero. Germany is in good shape – thanks, among other things, to a targeted reform policy undertaken in the past. Our country was able to respond decisively to the international financial crisis and resulting economic slump, as well as the debt crisis in Europe. 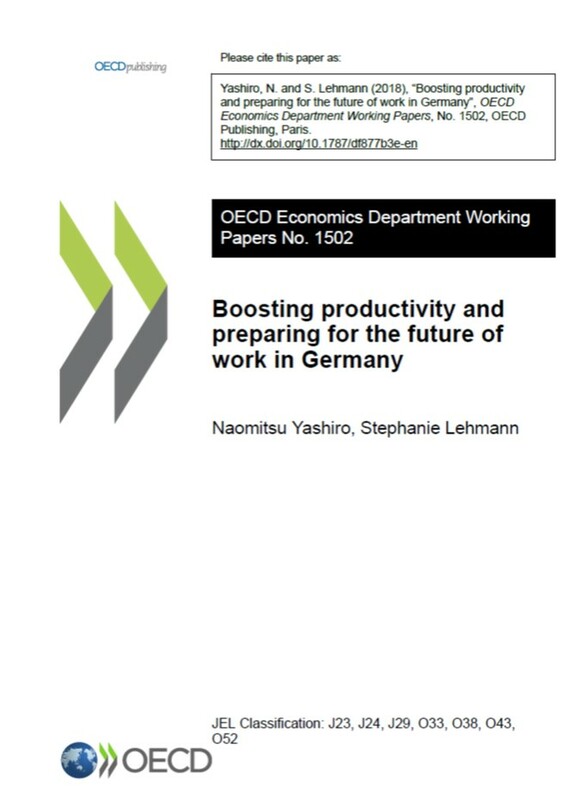 Politicians reacted by creating the framework Germany’s citizens utilised intentionally. Collective bargaining partners safeguarded jobs by acting responsibly. Together, we were able to ensure that our country emerged stronger from the crisis. These are grounds to be confident. Das Abschlusspapier des Projekts mit dem Titel »Neue Macht, Neue Verantwortung« behandelt Deutschlands Rolle in der internationalen Ordnung und in Europa, seine strategischen Beziehungen und seine Sicherheitspolitik; für alle vier Bereiche macht es Empfehlungen. Das Papier spiegelt den Konsens, aber auch den Dissens der Diskussionen wider. Die darin enthaltenen Analysen und Anregungen werden nicht notwendigerweise von allen Mitgliedern des Projekts geteilt. Germany has never been as prosperous, secure, and free as it is today. But power and influence entail responsibility. This also means that it has to take on new responsibilities. 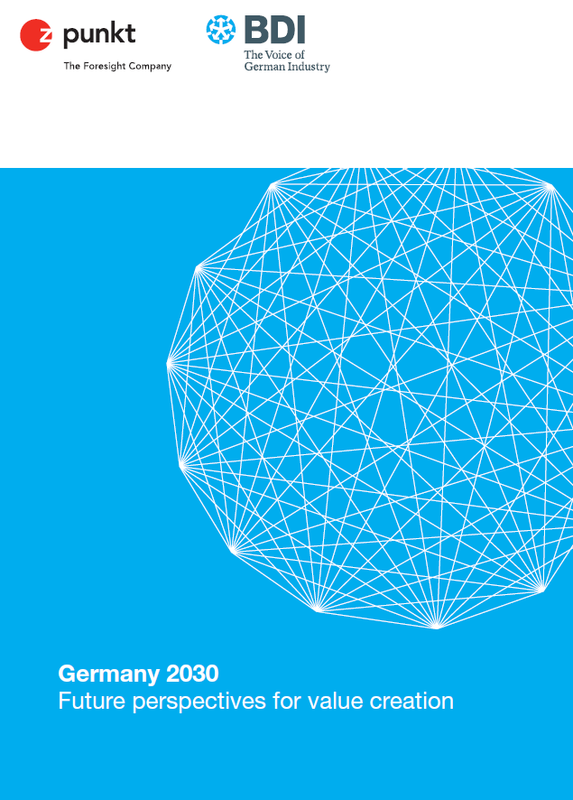 In this study the BDI is looking to the future: the BDI working group “Innovation Strategies Geared to Value Creation”, composed of experts from business enterprises and BDI member associations, submits its assessments for the future of value creation in Germany 2030.